DUBUQUE – Have you ever thought about what it would be like to eat with a celebrity? Local Dubuque children got to meet one of their heroes last weekend. Reporter Levi Bernhard covers the story for the LCTV Christmas Show. Dozens of kids got to see everyone’s favorite elf last Saturday, December 3rd. 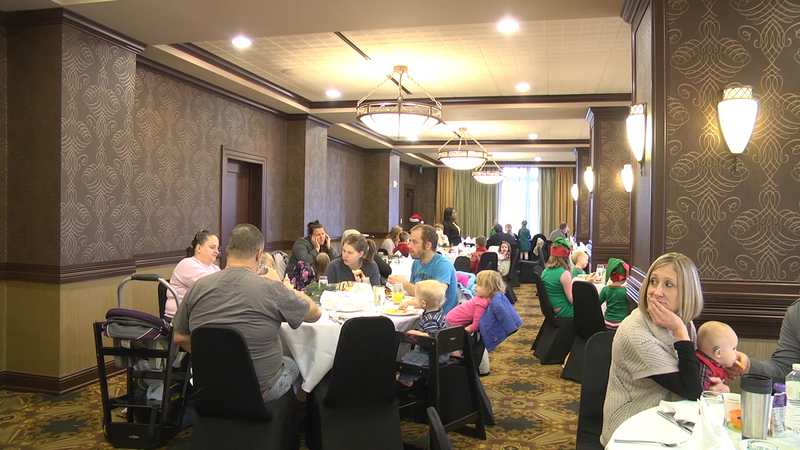 Breakfast with Santa was an event hosted by the staff of the Hotel Julien Dubuque. 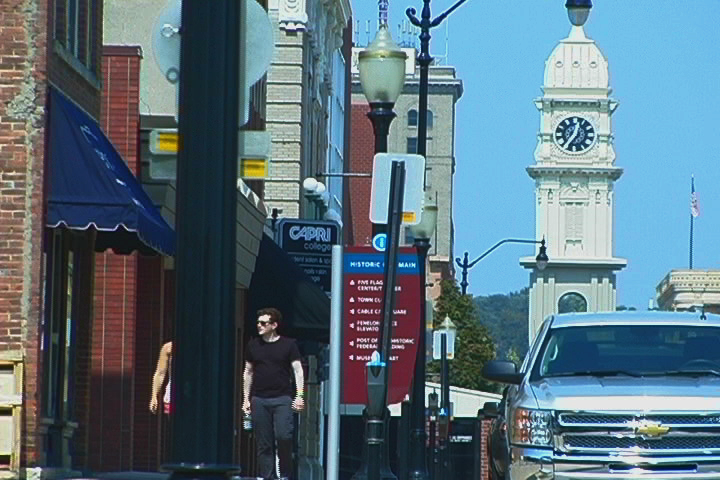 Located at 200 Main Street in Dubuque, the hotel is a testament to the history and fine culture of the city. This is the fourth year that the institution has held the breakfast, which includes a variety of food, including the customary sausage and bacon, as well as fresh fruit and yogurt. While they enjoyed a good breakfast, the kids had a chance to sit on Santa’s lap and tell him what they wanted for Christmas. 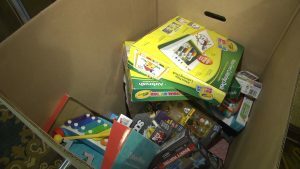 LCTV asked several children what they wanted him to bring this year, and received a variety of answers, ranging from a Princess Barbie doll house to a Mebo robot. The youngsters and their families also had a chance to help others by donating money and/or toys to Toys for Tots. As part of the breakfast, the Hotel Julien had attendees give a donation to the organization. The hotel plans to give the toys to the local Marine Corps, who will then distribute the toys to needy children. The breakfast had additional crafts and activities for the children to enjoy. 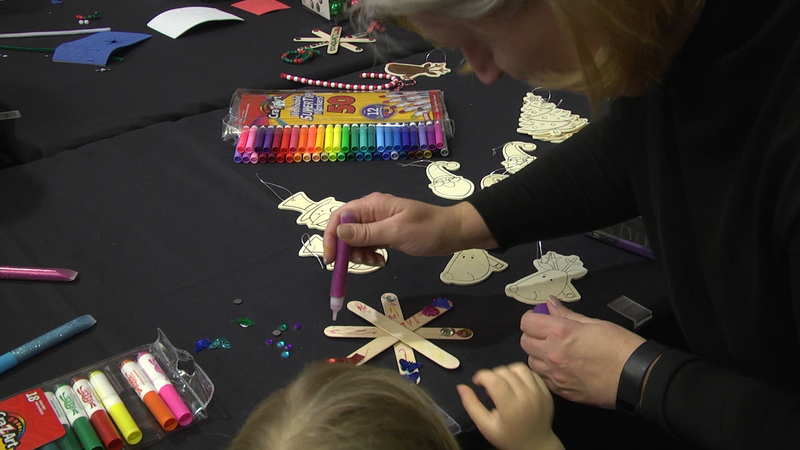 The kids LCTV talked to mentioned how much they enjoyed creating ornaments and Christmas decorations. They also said how they enjoyed the station where they could frost and eat the provided sugar cookies. The event was part of the Julien’s 12 Days of Christmas, a series of events celebrating the holidays with both the public and guests in attendance. To learn more about upcoming activities, you may go to their website at http://hoteljuliendubuque.com.